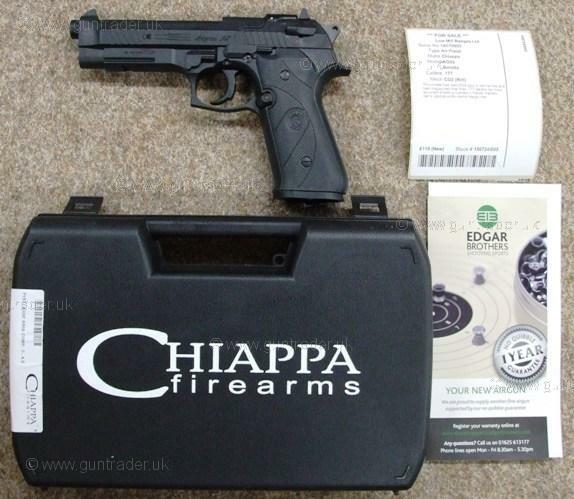 Chiappa .177 AG92 CO2 New Air Pistol for sale. Buy for £99. This model has twin CO2 cyls in the handle and twin magazines that fires .177 pellets for more accurate shooting Comes in handy makers carry case plus two extra magazines.